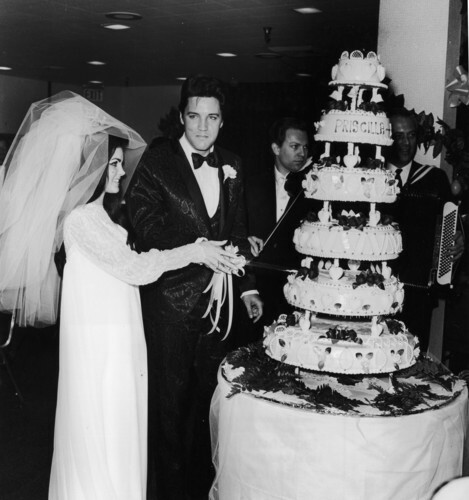 Elvis And Priscilla On Their Wedding Day Back In 1967. . HD Wallpaper and background images in the Elvis Presley club. This Elvis Presley photo might contain bouquet, corsage, posy, nosegay, cupcake, and tutti frutti.